Merton Auto Body may be known for our paint and body work, but we also offer other services including wheel alignments. A hard bump can throw off the position of your car’s wheels, whether it was caused by an accident or merely going over a pothole. The most visible sign of a misaligned car is tire wear, but it can cause other problems that will reduce your vehicle’s performance. Why Should My Car Need a Wheel Alignment? The vehicle pulls to the left or right as you drive. The steering wheel sits at an angle when driving straight. The tires squeal when driving straight or when turning at low speeds. Although not as obvious, misaligned wheels will also have reduced traction, affecting handling, and take more effort to spin, reducing fuel economy. To get the most wear out of your tires, your car’s wheels should be aligned every 6,000 miles or 6 months. 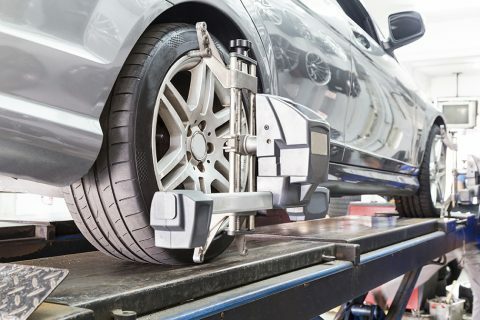 Hitting an obstacle like a curb or deep pothole can also push the wheels out of alignment, so it’s best to have your vehicle checked as soon as possible. Why Should I Go to Merton Auto for an Alignment? Using advanced tools, our technicians can adjust the suspension of your vehicle to bring the wheels back into the position intended by the manufacturer. Typically, this service takes about an hour. 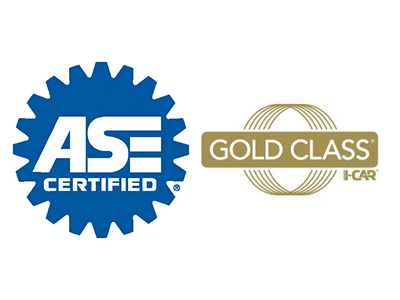 We charge $79 for a two-wheel alignment and $99 for a four-wheel alignment. Naturally, some parts may be need to be replaced depending on the wear and tear on your vehicle. Since we’re a full service body shop, we can do anything needed to bring the wheels back in line from adjusting a few bolts to straightening the frame.